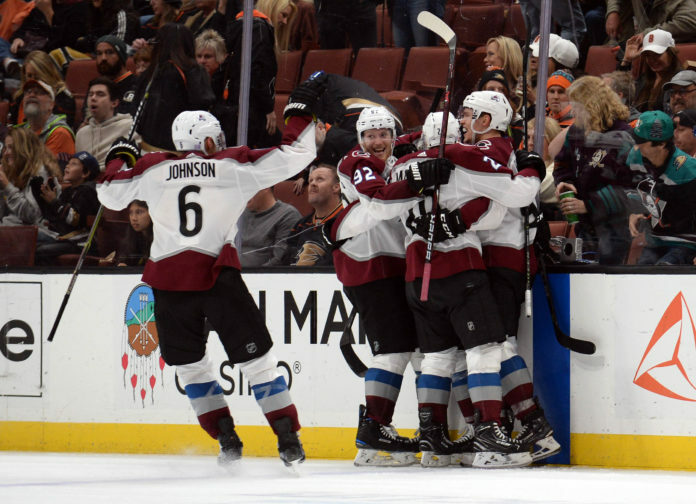 The Colorado Avalanche came back from a 3-1 deficit to defeat the Anaheim Ducks in overtime by a score of 4-3. Mikko Rantanen secured the road victory with a power play goal. Colorado’s top line is so good that they don’t even need to play well for an entire game to dominate. 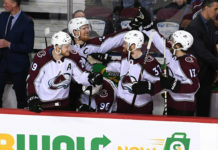 The Avs were a little sloppy for the first 30 minutes of this one, but the big line took over, with three goals in the last 27 minutes to guide the team to victory. Mikko Rantanen is a force to be reckoned with. With three more points on the evening, he’s up to an NHL-leading 32 for the season. The Avs have a legitimate superstar on their hands. Philipp Grubauer looked a little off on all three goals, but really recovered nicely. 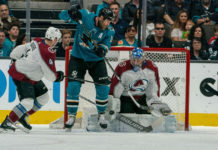 His breakaway save on Ondrej Kase when the Ducks were leading 3-1 ended up being enormous and allowed the Avs to come back to win. This was only his second game in an Avs uniform with a save percentage over .900. Vladislav Kamenev is coming on in a big way, and has looked quicker and more confident in the last week or two. His play on the opening goal was beautiful, as he showed patience to hold onto the puck for a few seconds and find the open player, which ended up being a pinching Patrik Nemeth. He ended the night with the best possession numbers on the team, controlling nearly 77% of the shot attempts when on the ice. The video game numbers that Mikko Rantanen is putting up is almost overlooking just how good Nathan MacKinnon is. He also picked up three points on the evening, and attempted a ridiculous 10 shots at even strength. He’s a shot generating machine and is proving last year was no fluke. The Avs now head to Los Angeles to take on the struggling Kings. 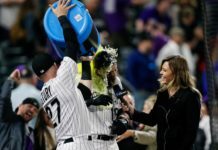 The game starts at 8:30 PM MST on Wednesday evening.